We specialize in small- to large-sized business for sale packages in Cape Coral, Florida. Our business listings include a variety of businesses for sale in and around the Cape Coral area. Business Brokerage Solutions has been an Florida business broker since 1991 and offers a full range of professional brokerage services to help you buy your next business in Cape Coral, FL. Contact Jim Straza today! As one of the largest master-planned communities in Florida, Cape Coral is the preferred location for office and company headquarters. Cape Coral offers plenty of office, retail and industrial properties with a mid-hub international airport just 20 miles away. 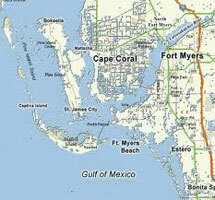 The city of Cape Corals has a pro-business climate that helps businesses grow and succeed. Our Cape Coral business for sale database includes businesses for sale in Cape Coral, Naples and surrounding areas. With Business Brokerage Solutions expertise in the Cape Coral market, we can assist you in every phase of the business acquisition.Find a business for sale in Southwest Florida.